The Jazz Cafe, in Camden Town, London, has some notable visitors from the US in the coming months. 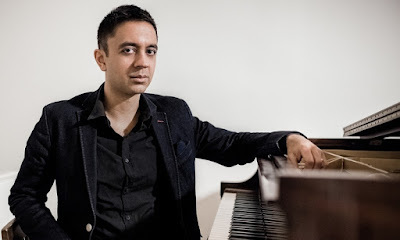 They include ground-breaking pianist and composer Vijay Iyer, drummer and composer Nate Smith with his band KINFOLK, and guitarist Julian Lage, leading a Trio. The music of legendary jazz US harpists Alice Coltrane and Dorothy Ashby will be played by UK harpist Tori Handsley, and Pat Metheny Group drummer Antonio Sanchez, the man who should have had a Oscar nomination for his soundtrack for Birdman, will be at the Jazz Cafe with his own band. Another highlight of special interest to fans of Brazilian music is the appearance of composer and singer Ivan Lins. And before all that there are of course, two nights of the Art Ensemble of Chicago.